As much as half of Slovenia’s surface is covered in forest, which offers a perfect shelter for many kinds of wildlife. 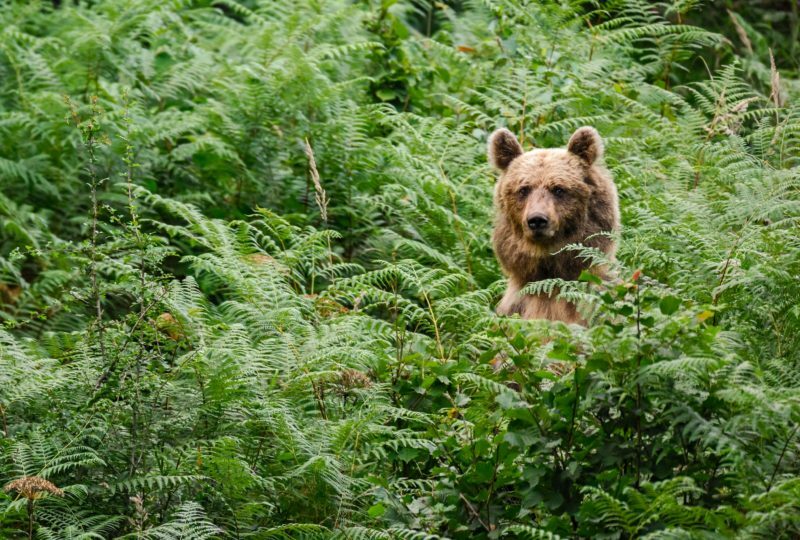 Slovenia is one of the few European countries where three large carnivore species can be spotted, i.e. the brown bear, the grey wolf and the Eurasian lynx. 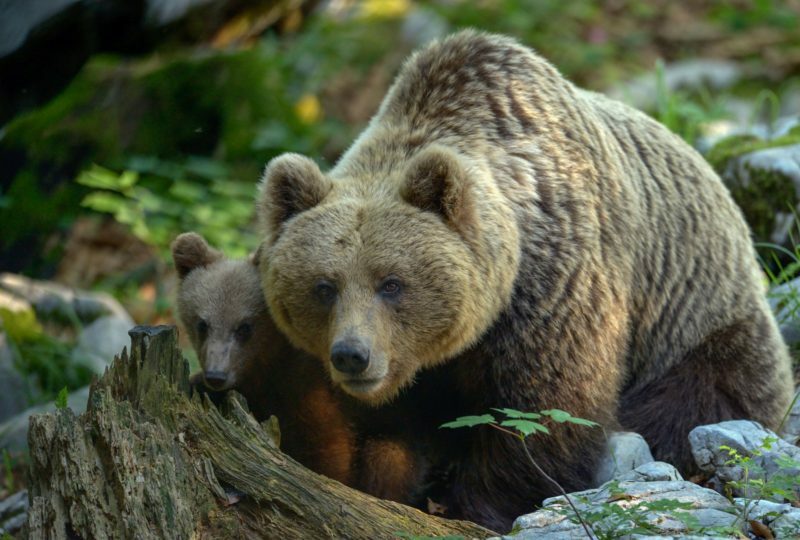 The brown bear population in Slovenia currently stands at 400 to 500 individuals, with most animals residing in the Kočevje forests, which makes Slovenia a country with one of the highest density of brown bear population in the world. The hunting skills of the lynx, which are otherwise vital for its survival in nature, brought the animal to the verge of extinction in most of the western and central Europe, especially due to stock farming and because of their beautiful and highly valued fur. However, the lynx is most valuable when alive as it is priceless for and instrumental to the existence of forest ecosystems, where it reigns together with the wolf and the bear. In Slovenia, the territory was repopulated after the lynx was hunted down to extinction. The Dinaric beech and fir forests provide this species with enough food and peace to survive. From the perspective of biodiversity, Slovenia is a paradise for all lovers of the flying species since at the Pivška jezera lakes alone researchers have documented 210 species of beetles, 106 species of butterflies and 127 species of birds. The importance of the intermittent Lake Cerknica for the endangered bird species also goes far beyond Slovenia’s borders, with the lake being designated as a Natura 2000 Site and a Ramsar Site. More than 270 bird species have been spotted at Lake Cerknica, with more than 150 stopping by on their migration routes and more than 100 nesting in the area. The following programs have been designated to offer various adventurous wildlife and outdoor experiences. The Unesco-listed natural heritage sites as well as wildlife watching programmes and preservation projects can be enjoyed here combined with light sporting activities, lively hospitality, excellent local food and professional guidance. 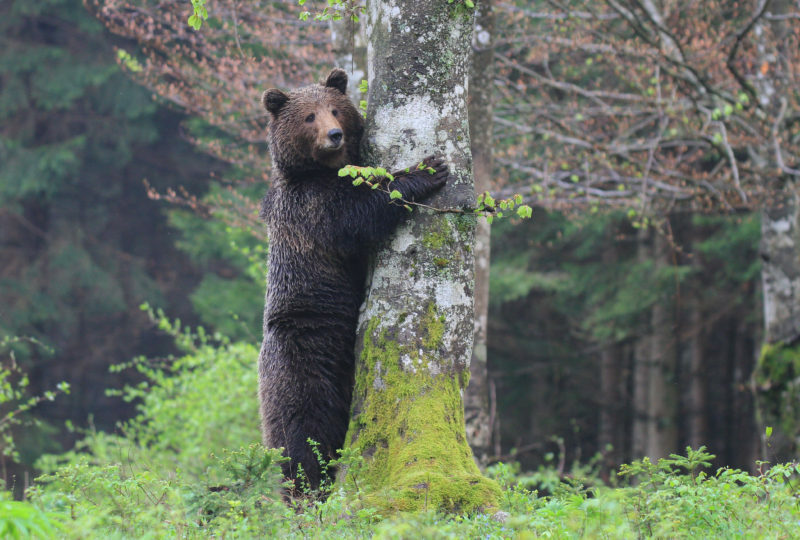 We have developed most of our unique programmes in collaboration with the LIFE DINALP BEAR project and the Biotechnical Faculty of the University of Ljubljana as one of the project partners. All programmes are developed according to sustainable tourism standards with the smallest possible impact on the environment, especially the wildlife. The tour is designed for passionate photographers and nature lovers who would like to learn more about bears, birds, virgin forests, karstic phenomena and sustainable tourism in the wild. Watching bears and birds in their natural habitat and visiting one of the largest intermittent lakes and a beautiful cave are topped with traditional food. Specialized guides can guarantee an unforgettable first hand experience. This adventurous hiking trail offers many opportunities to take photos, observe animal life and experience unspoiled nature, since accommodation is arranged in the midst of a forest, far from the civilization. In Slovenia, three large carnivore species can be spotted in their natural habitat, i.e. 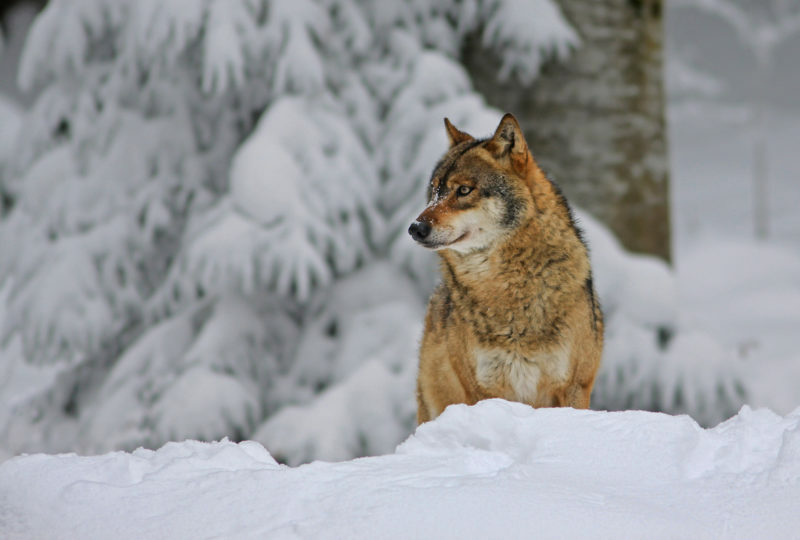 the brown bear, grey wolf and Eurasian lynx, most of which live in the Kočevje forests. Hunter-guided bear watching can be organised from the lookout tower. The programme is intended for all enthusiastic observers of wildlife and is very suitable for photographers. The two days full of adventures are suitable for those who want to discover the magic of unspoiled nature, enjoy the magnificence and appeal of the Kočevje forests, and meet their inhabitants in the winter. The snow in Kočevsko is more frequent and abundant than elsewhere. The unspoilt wild landscape through which the group will snowshoe while looking for traces of wolves and other wildlife thus represents an ideal environment for active winter holidays. Hiking around Lake Bohinj, biking to an alpine valley, exploring the emerald Soča river on mini rafts and visiting the stunning Tolmin gorges. 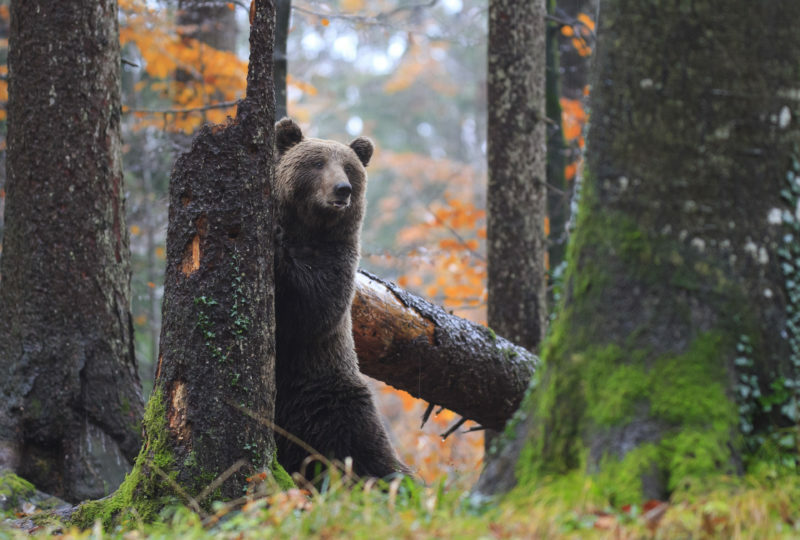 A visit to two karst attractions, the UNESCO site of Škocjan Caves and the intermittent Lake Cerknica, is followed by bear watching, and it is all packed in a single day. A short visit to the capital of Slovenia, Ljubljana, returns you to the urban beat before going home.